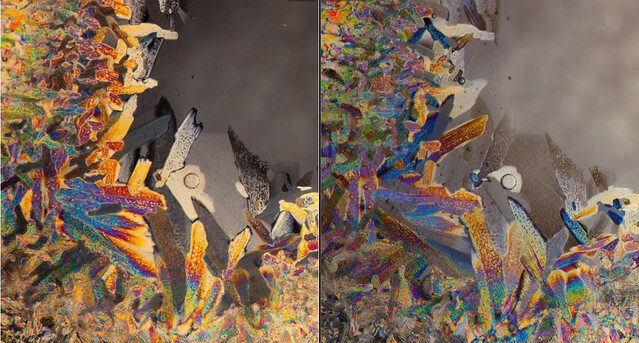 Transparent solids can show birefringence when they are under mechanical stress. This stress can be present in a part after it's manufactured (in the case of plastic) or present due to thermal expansion. 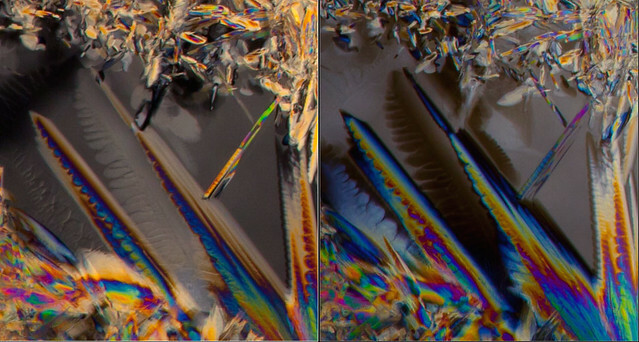 You can view these birefringence patterns if you view it between two crossed polarizers. 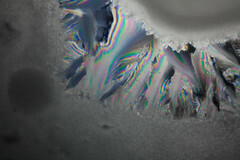 These patterns can also be found in ice. 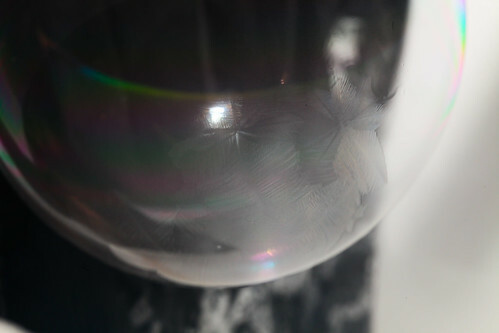 I decided, on a whim, that would attempt to photograph birefringent (cross polarized) crystals in frozen soap bubbles. This is what is hopefully going to be short set of posts with attempts to do so. 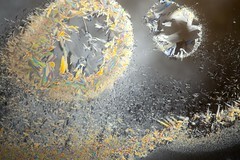 dip one end into a "bubble solution", adding additional glycerin may help. 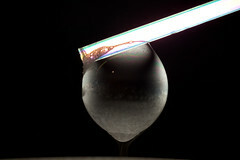 Make sure that there is bubble solution coating the outside of the pipe; a thin film will work fine. Submerge the other end into a cup of liquid nitrogen. 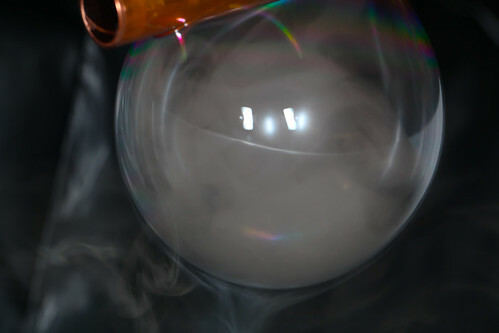 The warm copper will cause a phase change in the nitrogen, which will inflate the bubble with chilled nitrogen. 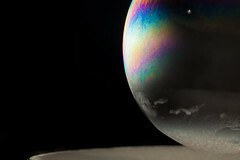 Before it pops, gently shake the pipe such that bubble 'slides' down to the pipe. Take the pipe and hold it carefully over a pool of liquid nitrogen. 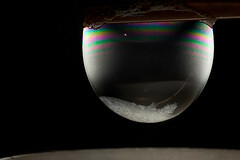 There will be a thermal gradient there which enables the bottom of the bubble to freeze. 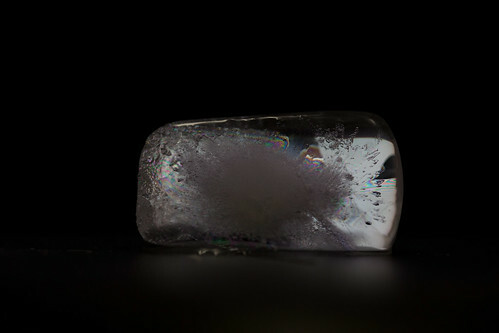 With some luck and skill, you can "thaw" and "refreeze" your bubble many times before it bursts. Here are some photos of our first round of testing. 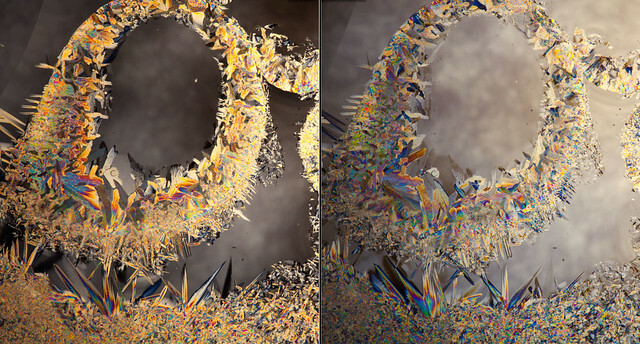 At the time we didn't have a good setup for capturing the birefringence in the crystals then we ran out of liquid nitrogen!. We will have to try again. 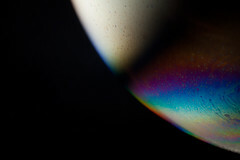 On the next post I'll provide more information about how to capture birefringence using a camera.